MUST SEE!!! This amazing property features 5 bedrooms and 3 bathrooms with a 3 car garage on a large corner lot in the highly desired Cedar Park Subdivision! Walk through the front door to a beautiful entryway that opens up to the living room, which features a beautiful fireplace & windows overlooking the backyard! You will not be disappointed with the large kitchen, which features ample amounts of counter tops for prepping meals! Master bedroom is on the main floor and features a big walk-in closet as well as a master bathroom with double sinks, large tub & separate shower! 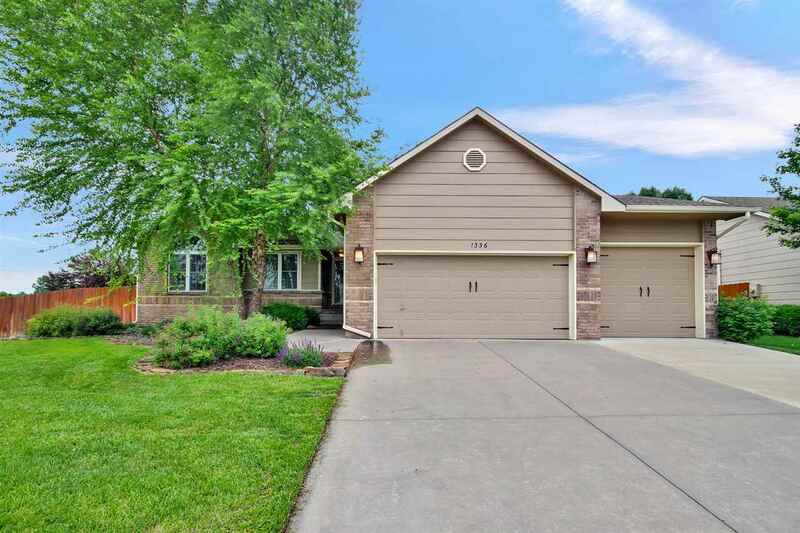 Upgrades to this beautiful home in the last couple years include: New granite and backsplash in kitchen and bathrooms, new A/C, new windows in the front of the home, new back sliding glass door, & new kitchen range hood! The basement features a large family room with dry bar, 2 bedrooms, & a bathroom! This home also has a massive fenced in backyard, a great deck & huge concrete patio, which will be perfect for entertaining on beautiful spring & summer evenings coming up! But that's not all, this property also features a sprinkler system, an irrigation well, fully insulated garage with loft storage, & ALL SPECIALS ARE PAID OFF! Courtesy of Realty Executives Sudduth Realty, Inc.